Here’s a great way to turn your children’s precious screen time into a productive, but fun activity! 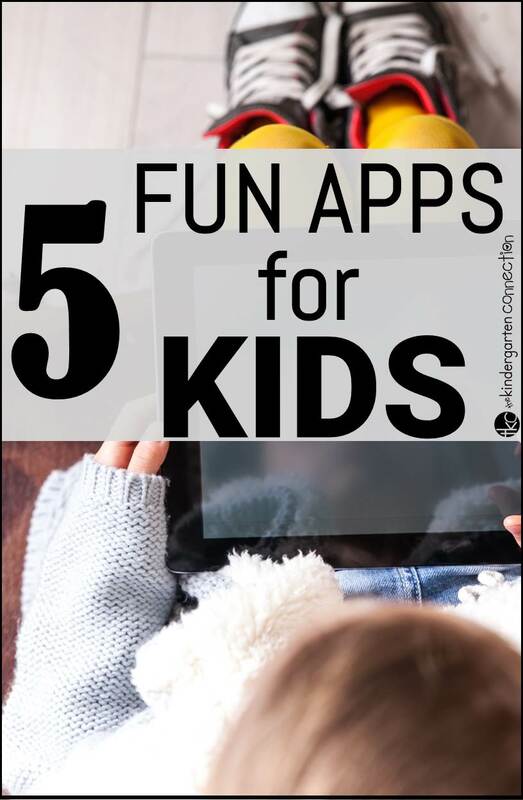 Check out these 5 fun apps for kids that they will absolutely love, and that will teach them a thing or two as they play! Primarily geared towards ages 4-8, this mobile app is sure to be a hit among kids thanks to its exciting, interactive 3D world of animals in the jungle. The wonderfully animated animals as well as the apt background music will make your child forget that he is actually learning stuff – discovering new facts about animals, playing with different types of words, building up vocabulary, learning to build sentences and the like. Apart from the educational part of it, Safari Tales also has other fun activities within it – you can paint an animal of your choice in your favorite colors, you can teach it to do tricks (same as you would to an actual pet) and you can also earn rewards along the way, which helps build up confidence in kids of such a young age in having achieved something worthwhile by their own efforts. And the fun doesn’t just end once the game gets over; there’s an interactive storybook right at the end which encapsulates beautifully everything that took place within that particular game. All in all, Safari Tales is a great way to introduce kids to the fascinating world of words and language. This charming app is perfect if you’re looking forward to teaching your preschooler their first letters. Pretty animal drawings and animation contain hidden letters that match the names of the animals. A single line voiceover narrates a delightfully silly story about each animal, with peppy music playing in the background. The app also lets toddlers practice their letters with the in-app sketchpad, while parents get quick tips for teaching the alphabet to their child. And if the music is getting on your nerves, you’re allowed to turn it off. Fun and interactive, Wee Alphas is one of the best ways to get your child started on the path of learning! The latest entrant into the list of mobile math apps, Math Blaster is sure to be a favorite among the kids! With many generations having played this game on their personal computers, today’s kids can now enjoy this intergalactic adventure on a smartphone. A cool mobile math game like this one is a great way to introduce your little ones to basic math concepts. And, what’s more, the kids can continue to play this game as they get older as well since it covers math subjects of varying degrees of difficulty. Breathe, Think, Do with Sesame is all about this cute blue monster who loves to have his belly tapped. Like each one of us, he also has problems on an everyday basis – trouble in trying to tie his shoelaces, going to bed at the correct time and so on. Tap his belly and he begins to breathe deeply, which helps him to calm down and think about how to solve the problem at hand best (with help from the kids who are actually responsible for choosing what strategy he adopts as a solution). The best part about this app is that it can be used equally effectively both in the classroom in small groups as a culture-creating activity as well as at home individually. ‘Breathe, think, and then do’ is what this app advocates. Doesn’t it apply to real-life situations as well? The sooner young minds grasp this mantra, the better. For budding digital artists looking to express their creativity on the go, Procreate comes as a godsend. This professional quality digital art tool lets you sketch and paint through a stylish user interface, hundreds of pens, pencils, brushes and brush presets, abstract tools and the ability to create, import and share custom brushes. It also lets you buy more brushes via in-app purchases and share your digital creations through social media and email. Younger kids will need some amount of guidance in order to utilize this professional quality app fully, while older ones will find it hard to wean themselves away from this powerfully creative app. 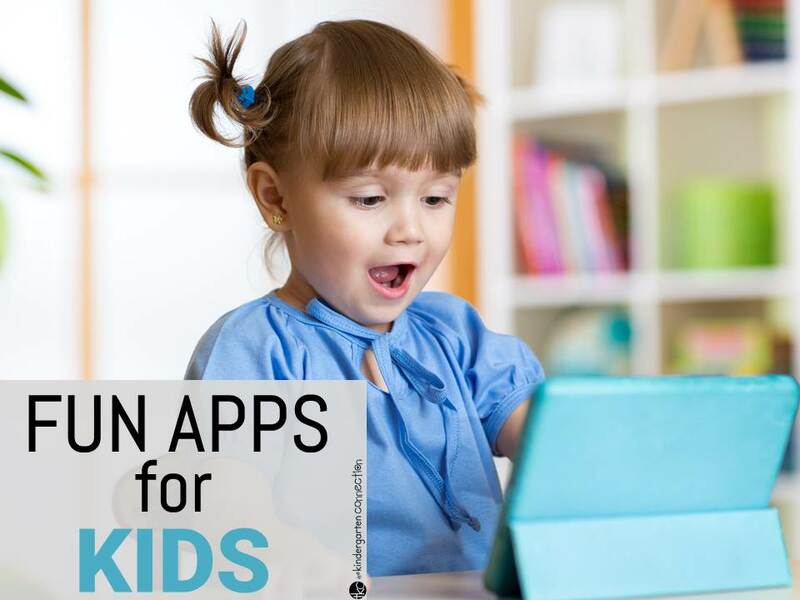 It’s difficult to come up with a list of just 5 kids’ apps from the thousands of great downloads found on iTunes and Google Play. If you’ve stumbled upon some wonderful finds, I’d love to hear from you! Corinne Jacob is a wannabe writer who is convinced that kids learn best when they’re having fun. She is constantly on the lookout for new and exciting ways to make learning an enjoyable experience. Corinne loves all things that scream out un-schooling, alternative education and holistic learning. For more technology recommendations for kids, hop over and check out our top 10 YouTube channels for early learners!